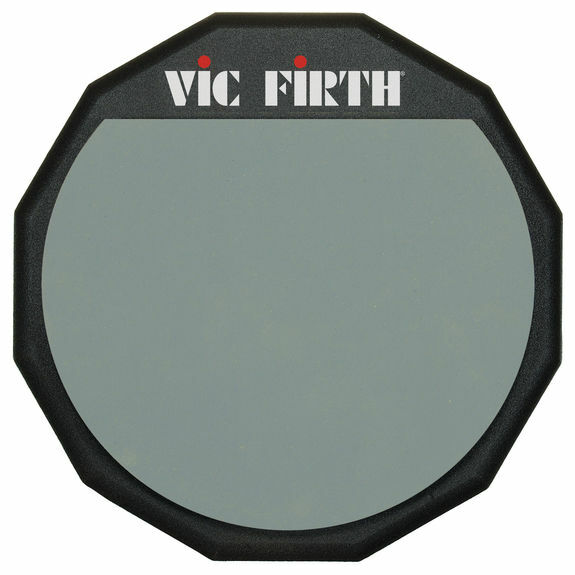 Vic Firth Single Sided Practice Pad - 12"
The Vic Firth PAD12 Single Sided Practice Pad features a 12" soft rubber playing surface for quiet practice. The hard plastic base features a non-skid rubber underside. Really great all purpose pad! 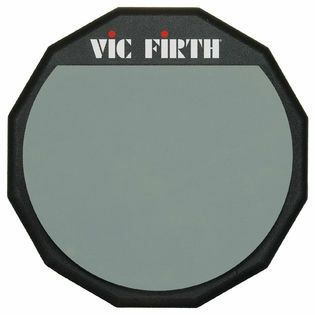 I am really pleased with this Vic Firth pad. I purchased based upon the use of it by a teacher that I know. i was apprehesive at first because I thought that it wouldn't have the feel that I was looking for. I WAS WRONG! This is probably the best gum rubber pad I've used! And, I've used a few over the years. The rebound is excellent and and the feel of the pad is very comfortable on the hands. HIghly recommended! this pad is really great i got it about 6 months ago and it still never dissapoints. i find that both sides are a bit loud, but it stays in place no matter how hard you hit it. i really like the no bounce side for rudiment work.